Behavior Therapy is first-line recommended treatment for young children with ADHD, but there is a lot of confusion about what it means, and it is an underused treatment by physicians. In related articles, I have explained 1) what is meant by Behavior Therapy and 2) what it should include and how parents can find it for their family. In this piece, I address why providers have not been recommending Behavior Therapy, and what we can do about it. First, a quick overview: The American Academy of Pediatrics recommends 'Behavior Therapy' as a first-line treatment for children with ADHD under 6, and the CDC encourages parents to "obtain training in behavior therapy and practice that before trying medication." For parents of kids age 6 to 12, 'Behavior Therapy' is recommended in addition to medication for children. But ... in May, 2016, a CDC Vital Signs report announced that a surprising percentage of physicians - more than 50% -- are not first referring "parents of young children with ADHD for training in behavior therapy before trying medicine." So what's going on? If 'Behavior Therapy' is recommended as a first-line treatment for children with ADHD, and ADHD is "one of the most common neurodevelopmental disorders of childhood," then why such a disconnect? With public misinformation stigmatizing ADHD and significant complications accessing stimulant medication, you'd think that physicians would be looking for another path to effective treatment, right? Why Don't Providers Routinely Make 'Behavior Therapy' Referrals? 2. Evidence-Based Behavior Therapy Programs are hard to find. 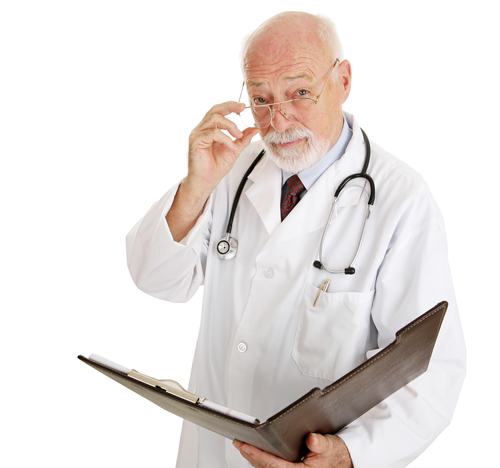 Professional medical guidelines call for physicians to recommend "evidence-based" programs. However, very few programs have undergone the necessary scrutiny to meet that specification. Smaller providers of 'Behavior Therapy' parent training - like my company, ImpactADHD.com, for example (and for full disclosure) - do not generally have access to research institutions and dollars to verify that programs meet those strict standards. So while the American Academy of Pediatrics can work with organizations and individuals such as myself as advisors, they cannot recommend evidence-informed Behavior Therapy programs like Sanity School because they do not meet an "evidence-based" gold standard. Even CHADD's Parent to Parent program does not officially qualify. 3. Providers don't know where to refer their patients. Since there are very few 'Behavior Therapy' parent training programs that meet the criteria for "official" referral (a 2011 Agency for Healthcare Research and Quality (AHRQ) report recommends four programs), physicians are at a loss. Free online resources such as the National Resource Center (a program of CHADD), ADDitude and ImpactADHD provide some parent training in the form of online articles and webinars. But true 'Behavior Therapy' Parent Training programs like Sanity School - programs that are specific to the ADHD population and take into account what is happening in the individual family dynamic -- are rare. Beyond that, physicians may not know what to look for in a program; additionally, they have limited opportunity to evaluate the effectiveness or integrity of a referral source. The NCBH webinar series, mentioned above, promises to expand the conversation to discuss "evidence-based and evidence informed" parent training in behavior therapy, which has the potential to expand referral options considerably. I spoke with Dr. Beverly Funderburk (one of the presenters in the webinar series), who acknowledged the dilemma of access and verifiability. "It's terrible to recommend something that no one can get," she said. She explained that the California Evidence-Based Clearinghouse for Child Welfare standards require randomized trials and other components that are difficult to get. But while the field may begin to explore "evidence informed" programs, she explained, "without a universally accepted, operationalized definition, it's a slippery slope." "Evidence informed" she continued, "could be effective for organizations like ImpactADHD and CHADD, whose programs are well grounded and well-informed. But the term could also be used inappropriately" by anyone who has ever read an article on a subject. This issue will need to be addressed for the concept to gain traction. A co-presenter in the NCBH webinar, Dr. Greta Masetti, a psychologist in Atlanta, GA, offered a slightly more optimistic view. She explained, "evidence informed" or "evidence supported" has some consensus -- that "the core content is consistent with what's in the evidence, but may be offered to a different population, or delivered in a different context." Still, she agreed with Dr. Funderburk, "everyone has individual perceptions of what it really means." The gold standard of evidence-based research is a rational ideal, in theory. But one might argue that strict adherence to"evidence-based" standards is actually standing in the way of access to effective treatment, leaving families lacking in resources and necessary services. Innovation is required to treat the complex children of the 21st century. We cannot wait for the research to catch up while the lives of our precious children are at risk. It's time to take a hard look at the real evidence - that families are suffering, and providers have had limited recourse to ease that suffering. A proven and effective treatment for ADHD in young children - Behavior Therapy in the form of parent training - has been underused in treatment. There is a consensus that it's time for that to change. Isn't it also time that we establish criteria for "evidence-informed" programming, so that providers will have "permission" to refer parents for effective treatment? So that we can - finally - direct families to the support they need, now, while their children are young and the treatment can make a difference! ?